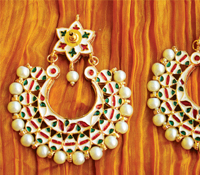 Bored with the usual round of lehengas, saris and salwarsA� for weddings? If you fancy playing mix and match with separates, then take a detour from conventional ensembles and log on to Tasht ,created by sisters-in-law Panna Appachu and Trupti Sridharan. 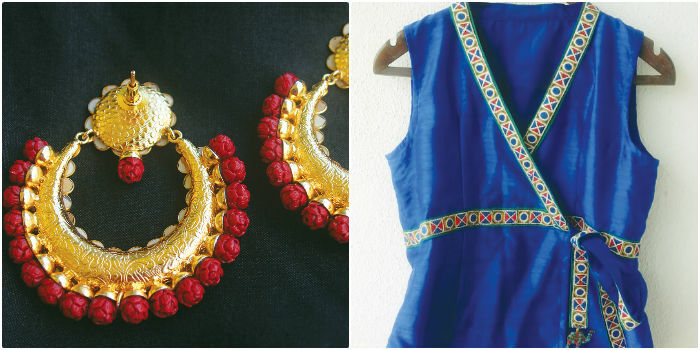 Started in March, the Tasht team designs their own line of Indo-western outfits and sources ethnic jewellery from manufacturers in Mumbai and Gujarat. With no formal training in fashion, they go by their instinct. a�?Panna has a great eye for fabric and colour. For nearly everything worn by her, she gets the a�?where did you buy that from?a�� question,a�? Sridharan says. a�?Most of my outfits are a mix-and -match of separates like embroidered cholis with plain skirts, or plain kurtas and dupattas with embroidery or mirror-work,a�? Appachu confesses. 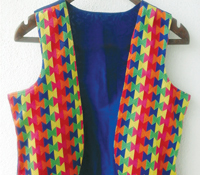 Appachu and Sridharan decided they had something unique to offer the ethnic wear market when they started Tasht. a�?We wanted people to be able to pick up both the outfit and jewellery at the same place,a�? Sridharan says. So while she sources the fabric, Appachu puts the outfits together. Working mainly with silks and cottons, their collection this time will see smart use of borders and brocade. a�?You will see skirts, tops, blouses, dresses and kurtas that veer towards fusion,a�? Appachu shares, adding that the trick lies in pairing the tops with jeans or a racer back top with a skirt. She currently favours colours like white and silver. And while the two women have not quit their day jobs (Panna is the founder of Origami, a pre school, and Trupti, works as head of communication at Mahiti, a Bangalore-based social enterprise), they are kept busy with their Facebook page which sees orders streaming in from places like Singapore. The jewellery is also being retailed at local boutique, Lookbook.